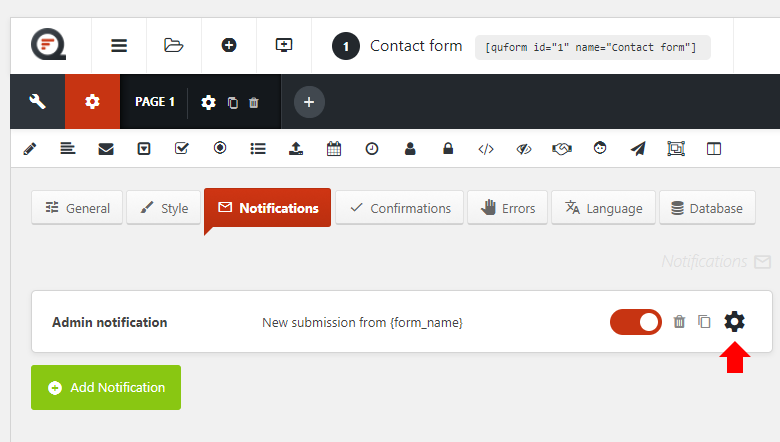 Quform WordPress v2 DocumentationFAQEmailHow do I add submitted data to the email subject? Go to Edit Form → Settings → Notifications and go to the settings for the notification. At the Subject field click the code icon (insert variable) at the right side of the field. Then click the submitted form value to insert it.